Home » Will the first aliens we find be ROBOTS? The hunt for life elsewhere in the universe is now essentially a three-horse race between finding microbes in our solar system, signals from an intelligent race or clear signs of organisms in the atmosphere of an exoplanet. But one expert has claimed that, while the other two ‘horses’ might be important, finding intelligent life would have the most profound impact – because it might not be ‘life’ as we know it. Instead, she says that the first life we find might instead be a form of artificial intelligence – and it could indicate that humans, too, will one day be more machine than man. Speaking to MailOnline, Dr Susah Schneider, an Associate Professor in Philosophy at the University of Connecticut and author of several articles on alien life, explained her theory. She has been working on it with Dr Seth Shostak from Seti (Search for Extraterrestrial Intelligence). ‘What I was focusing on was a bit unusual, because I was arguing that the most advanced alien civilisation would actually be forms of AI,’ she explained. She adds that they might not be the life we find first, with the discovery of microbial life in the solar system being more likely. ‘But it wouldn’t be the same as finding little green men,’ she added. What form that intelligent life might take, though, could come as somewhat of a surprise. ‘If you look at our own civilisation, people are becoming more immersed in computers, and we can already see signs of it in our own culture,’ she continued. ‘Silicon is faster than brains. ‘The idea is that our brains are actually fairly slow; think about how hard it is to even remember a phone number. ‘AI researchers are doing quite well and most people in computer science think we are 50 years away from AI that is smarter than us. ‘Aliens will be vastly older than us, so it looks like they may be sophisticated forms of AI that are far smarter than we are. Dr Schneider continued that she doesn’t necessarily think our transcendence to an AI-based race will be set in stone, and there will be some people who resist it. ‘In North America the Amish refuse the use of technology, and hopefully other people would think things through very quickly,’ she said. Aside from a computational aspect, another limitation of our brains is their size and vulnerability, something that suggests a race more advanced than us would do away with them. ‘The idea kind of floating around Nasa and the Seti Institute is that the most sophisticated alien civilisations we encounter would not be biological. ‘Our brains are limited to the size of our skull, but a computer can take up an entire planet or city. WILL AI SPELL THE END OF THE HUMAN RACE? Professor Stephen Hawking has warned that humanity faces an uncertain future as technology learns to think for itself and adapt to its environment. ‘The next evolutionary step could be we are post-biological,’ said Dr Schneider. Recently experts in Washington DC discussed chances of finding alien life. Seti astromoner Dr Shostak said we ‘could be the first’ generation to know we are not alone. Such a discovery would suggest that the shift from biological to machine is something that takes place on other planets, and would ultimately indicate the direction humanity is going. And it would have a huge impact on our society, ‘like a science fiction novel come to life,’ according to Dr Schneider. ‘I think finding a more sophisticated form of life would be mind-blowing to most people. When, or if, such a discovery might occur, though, is anyone’s guess at the moment. Some people at Nasa and Seti think that alien life, perhaps just microbial and not intelligent, will be found in the next 20 years. But if intelligent life is one day found, the nature of it could have a huge impact on humanity today, and in the future. ‘In a way finding AI could be even more surprising than finding little green men,’ Dr Schneider concluded. Earlier this year a researcher from the University of Cádiz in Spain says we shouldn’t be looking for aliens – because we’re not ready to meet team. Gabriel De la Torre claimed how his survey of students showed the general level of ignorance and influence of religion would leave us shocked if we made first contact. ‘We’re not ready to talk to extraterrestrials because global consciousness is not developed enough in the population,’ he concluded. In the recent Astrobiology Symposium at the John W. Kluge Center at the Library of Congress in Washington DC, several experts in the field outlined their views on whether we are alone. Ultimately, the type of life we find first will dictate how we should react to its discovery. Seti astronomer Dr Seth Shostak explained that the hunt for life is a three horse race. First, there is the hunt for life – almost certainly microbial – in our own solar system. Next there is the possibility of detecting signs of life in the atmosphere of an exoplanet, perhaps a tell-tale signature in its atmosphere. And last, there is the work of Seti itself – which hunts the sky for signs of a signal from a distant intelligent race. It’s unclear which of these methods will be first across the line – but whichever one is will have significant ramifications on Earth. ‘There have been 10,000 generations of humans before us,’ explained Dr Shostak. Dr Shostak also went on to explain that he thought the first intelligent aliens we encounter might not be biological, but rather a form of artificial intelligence. With AI thought to become more advanced throughout this century, it’s possible that just 150 years or so since the invention of radio, we will already have created artificial life. This would have important implications for the future of life on Earth. 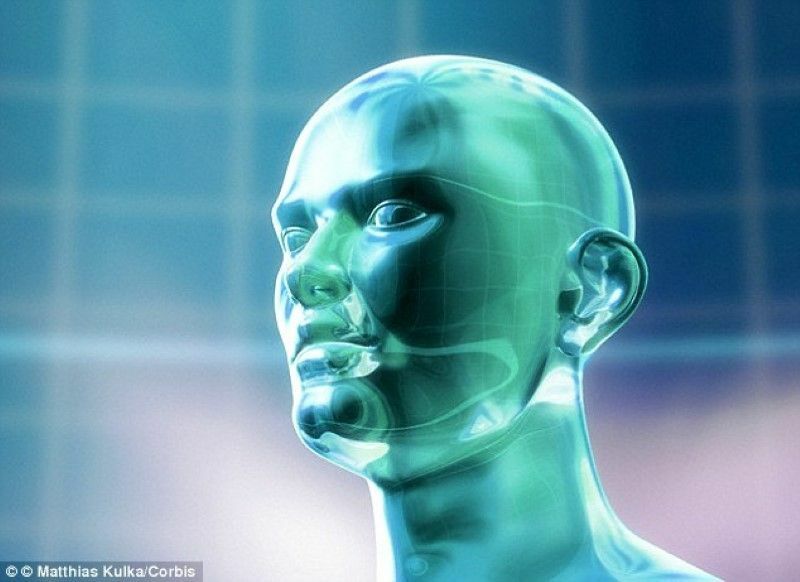 Some are of the belief that we will one day be able to ’emulate’ our brains to achieve a form of immortality. ‘The point is that, going from inventing radios to inventing thinking machines is very short – a few centuries at most,’ Dr Shostak said.